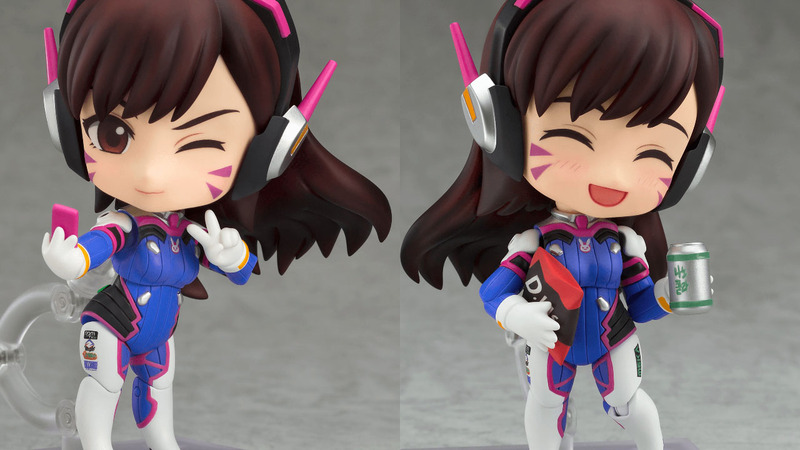 To all my fellow purveyors of cute things, the time has come to set aside cash for Nendoroid D.Va! She will be the sixth in Good Smile Company's pint-sized line of Overwatch heroes, joining Tracer, Mei, Mercy, Genji, and Hanzo. As with the other Overwatch Nendos, D.Va will have articulated knees and elbows. And of course she'll have the extra faceplates and random accessories that we all love. Unfortunately, a full-sized Meka is not part of the package, but a little tiny one will be included. D.Va is up for pre-order now for US$49.99 and is set for a July 2018 release. You can get her at the Good Smile Online Shop, Good Smile's partner shops, or from the Blizzard Gear Store.